A woman who worries about carrying a .38 special in her purse, nearly drowns in a desert canyon, flies into the war in Bosnia, dances with the FBI, tells Geraldo he shouldn't put guests in hotel rooms with rats and spends time with murderers, has more than a few stories to tell. 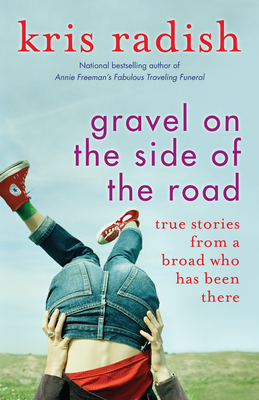 Gravel on the Side of the Road: True Stories From a Broad Who Has Been There is a daring and revealing adventure itself. Beloved novelist Kris Radish returns to her non-fiction beginnings with her first book of autobiographical essays.